Chinese vehicle manufacturer improves safety performance in Australia from four to five stars by carrying out recommended improvements. 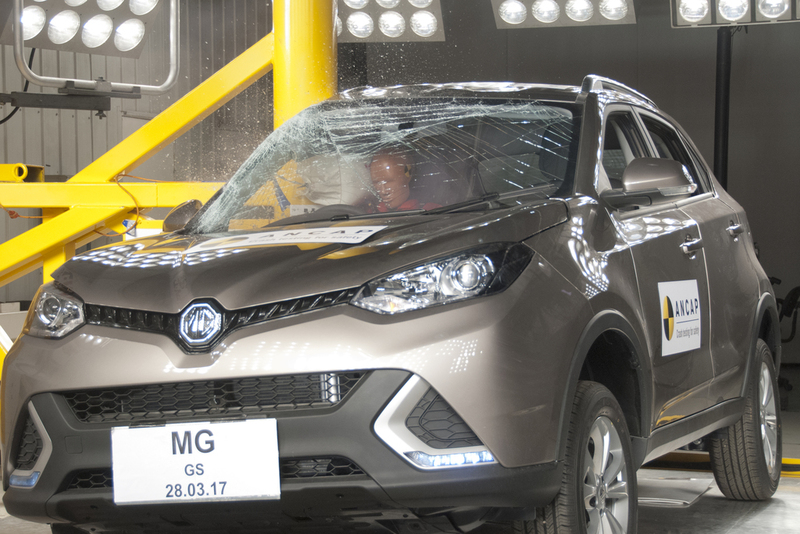 The Australasian New Car Assessment Programme (ANCAP) has awarded the first 5 star ANCAP safety rating to a Chinese vehicle with the MG GS rising to meet the top safety threshold. The medium-sized SUV increases its ANCAP safety rating from 4 stars to 5 stars following a specification upgrade and strong performance in the pole impact test, which replicates a sideways collision with a pole. “We initially assessed this model earlier this year and saw that while structurally it offered sound levels of occupant protection, its safety specification did not meet what is now expected as a minimum for a 5 star car,” said ANCAP Chief Executive Officer, Mr James Goodwin. “MG must be commended for upgrading this model and this achievement raises the bar for other similar brands entering the very competitive Australian new vehicle fleet,” Mr Goodwin said. The 5 star ANCAP safety rating applies to all MG GS models built from August 2017 and on sale from October 2017. The MG GS is produced by SAIC Motor and distributed locally by MG Motor Australia. 5 star ANCAP safety ratings have also been awarded to the Kia Rio, which entered the Australasian market in January, and higher-specified variants of the Suzuki Swift, on sale from June 2017. 5 star thresholds were met by the Swift GL Navigator, GL Navigator with Safety Pack and the GLX Turbo, however the base model Swift GL fell short resulting in a 4 star rating. “The Swift is an affordable car and we would encourage consumers to opt for one of the higher specified models to ensure they’re getting the best safety package,” Mr Goodwin added.